UV rays from sunlight are mostly responsible for the development of a liver spot on the skin, however the break down of the skin’s natural rejuvenation processes alongside ageing can also aid and increase chances of developing liver spots on the skin. There has been some questionable liver spot treatment therapies in recent times, cryotherapy and chemical peels as a matter of fact has remained under serious scrutiny because of the tendencies for the liver spots to reappear after a year or more. Hydroquinone treatment is another effective treatment for a liver spot. This chemical agent can bleach away liver spots but its safety has remained a source of concern in many countries where it has been banned. Hydroquinone can result in skin rashes, and can trigger severe allergic skin reactions which apparently can lead to skin cancer. It has been recommended on many websites that Extrapone is one of the best natural therapy for liver spot treatment. Extrapone contains some active ingredients which are extracted from a plant known as “ Cyperus rotundus” otherwise known as coco grass. It has been observed that some compounds in the coco grass contain some great anti-inflammatory properties which can help relieve inflammation and skin irritation. Extrapone can also be used to fade liver spots on the face through the inhibition of excess melanin production which result in skin discolouration. Extrapone can be used alongside other forms of treatments such as cryotherapy and laser surgery to make such treatments more effective. Extrapone can also help deal with scarring problems that may result from other forms of treatment, extrapone can stimulate the natural skin cell rejuvenation, hence an individual looks younger while liver spots are being removed. CYNERGY TK, is another liver spot treatment therapy which has been confirmed to be very ideal in removing at least 98% of the liver spots on your skin. It is a product that contains 90% natural protein that are found in the outer layer of the skin. Inflammation can damage the adjoining collagen fibers in the skin. One of the facts that you must keep in mind is that liver spots can be removed from your skin without causing any further damage to your skin if you the right treatment for you. 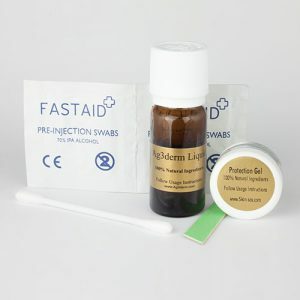 You need to see a medical expert before choosing a liver spot treatment for your skin to avoid the problem resurfacing in the future or simply getting worse.